Usage of gase "en blanc"
Mastering each and every stages of the process of the conception of a product which we like: " the wine " (collection of the grape, the transport, the reception in wine storehouses, operation of pre-pressing, pressing, débourbage, pre-fermentation operations, alcoholic and malolactic fermentation, breeding, clarification, assembly, bottling). 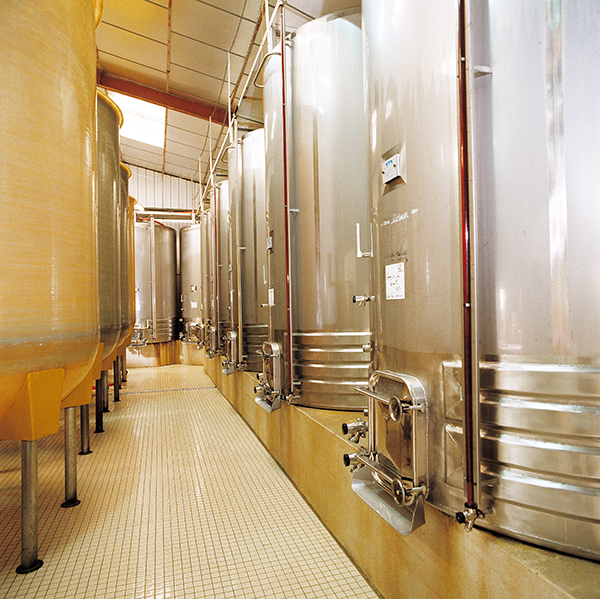 1) The received grape harvest is destemmed then transferred in tanks of maceration for a variable period of time according to the wished result and the quality of the grape harvest. It is then extracted from the tank, pressed normally, cleaned out and set in fermentation. 2) The grape harvest is destemmed then pressed. The must is then cleaned out a first time and left in 5°C during several days (to be assessed).